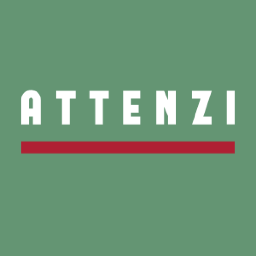 I always try and read a good book or two when I go on holiday and top of the reading list for my summer holiday to Seattle, was Attenzi by Philip Sheldrake. The book is described as a ‘social business story’ and most unusually for a business book it is told in the form of a (relatively, 114 pages) short story. Before we kick-off, I know the book was published in May this year and I’m pretty late coming to the table with a review, but there’s something about a work of fiction that is more engaging than a conventional business textbook. In fact, so much more engaging that I felt compelled to type up this review. The book is described as ‘written for the Internet age about a business leader, a organisation and a market’. The story follows Eli Appel, the recently appointed CEO of Attenzi, a fictional kitchen equipment manufacturer. The company is profitable, competing well, but has yet to fully explore the opportunities available from social technologies. ‘Average’ and ‘curious’ are perhaps the most accurate adjectives. Being curious is often seen as a good thing, whereas average seldom is. But averageness isn’t necessarily a negative and whether you work in-house or for an agency, lets face it many of us will work for or with organisations that fit this description e.g. competing well, trading profitably, but not industry leading. My point is that most organisations are somewhere in the middle of their competitive set and require a deeper level of curiosity when it comes to social business if they are to gain a competitive advantage that can transform them into something out of the ordinary. Back to the review. For me, the key themes emerging from the book are how the Internet is changing the way businesses operate and what it means to be a business. One of the most interesting points that I feel needs to be reiterated is that no-one department can be responsible for this change. Instead, all departments need to recognise that change is afoot, and the challenge is how they can best plan for it. It will require businesses to look at how they currently execute public relations, marketing, branding, organisational design and performance management and come up with new ways to use technology that puts employees and customers at its centre. This will take curiosity. But the story is more substantive than just a piece of fiction. People familiar with Philip Sheldrake’s work will recognise the Influence Flows model from his excellent book The Business of Influence and thoughtful discussion around communications measurement from his blog and speaking engagements which both feature once scene has been set. As I’ve said many times on this blog before, the true definition of social business is still being played out (as is often the case with emerging disciplines), but Sheldrake’s skill is helping to bring much needed clarity to this area. He does this expertly by using scenarios within the story that people will be able to relate to. You may not think that a work of fiction is the best vehicle for a business book, but Sheldrake is on the money when he says ‘storytelling is the oldest way to convey ideas and, if it’s a good story of course, have the ideas retold and passed round.’ Another reason for writing a work of fiction is there’s a distinct lack of credible case studies of organisations becoming a social business. Over the coming years this will undoubtedly change. As someone who is a self-confessed news junkie and interested in the future of media, take a look at Sheldrake’s approach to publishing. It’s a great example of content marketing in action. The book is only available in electronic format e.g. Kindle, iPad, Scribd which means printing costs are minimal and by giving it away for free, he’s managed to dramatically increase its reach. In short, the book is a fantastic tool to help position Sheldrake as a thought leader and his social business consultancy, Euler Partners as the go-to people for social business advice. But Attenzi is much more than that. It is extremely well written and I expect it to be the best social business book I read this year and certainly the most creative.